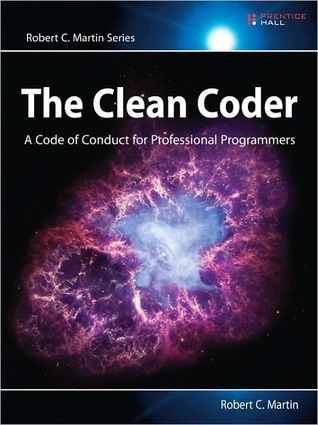 Earlier this week I finished reading Uncle Bob’s latest book The Clean Coder. Robert C. Martin is a great writer and I very much enjoyed reading his previous books. His latest work is no exception and I found it to be yet again a fascinating read. This book is all about professionalism. This is something that is very much needed in the field of software development. It describes how a professional software craftsman behaves, how he deals with tight schedules, irrational decisions made by managers (for those rare occasions that this happens), conflicts and so forth. The preface of the book takes you right by the throat, talking about the Challenger disaster. This has been applied to the field of software engineering many times already (check out this blog post from Gustavo Duarte which is one of my all-time favorites), but still, it definitely never wears off. The book is filled with stories and anecdotes from the rich career of the author and the lessons he learned during these 40+ years in the IT industry. Some of the ideas in there are definitely challenging (like staying out of the zone and building up focus instead), but nonetheless they put a very interesting perspective on things. Don’t let yourself get carried away by some of the hard statements but try to focus on the underlying ideas and try to think back on some of the good and bad situations that you ran into during your own career. Trying to reflect on those moments and considering how we could act more professionally lies at the heart of improving ourselves. I definitely learned a lot while reading this book and I encourage you to pick up a copy as soon as possible and take some time to read it.